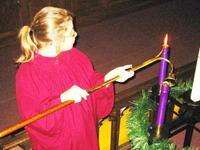 The acolytes participate in the worship service by lighting the altar candles and extinguishing the altar candles. 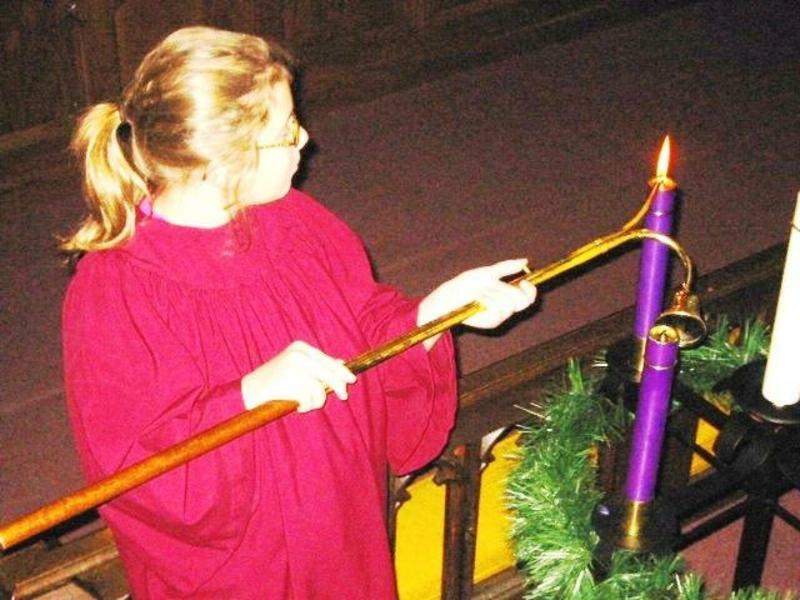 During worship, the acolytes light the candles in the worship service to symbolize the entrance of Christ into the worshiping community. The acolytes relight their "candle lighter" before processing out into the narthex as a symbol that the light of Jesus Christ goes out into the world as the community of faith serve Christ. Grace Church invites Interested youth to contact the church office or Lori Kolpien, Acolyte Coordinator, for more information.